George Church, genetics professor at Harvard Medical School. Two teams of scientists from Harvard and Yale have reached a crucial milestone in the effort to build synthetic life forms: a powerful way to prevent genetically modified organisms from escaping into the wild. The new technique essentially inserts a built-in self-destruct mechanism into bacteria. The cells carry an alternative genetic code that makes them dependent on an artificial nutrient that is not found in nature. 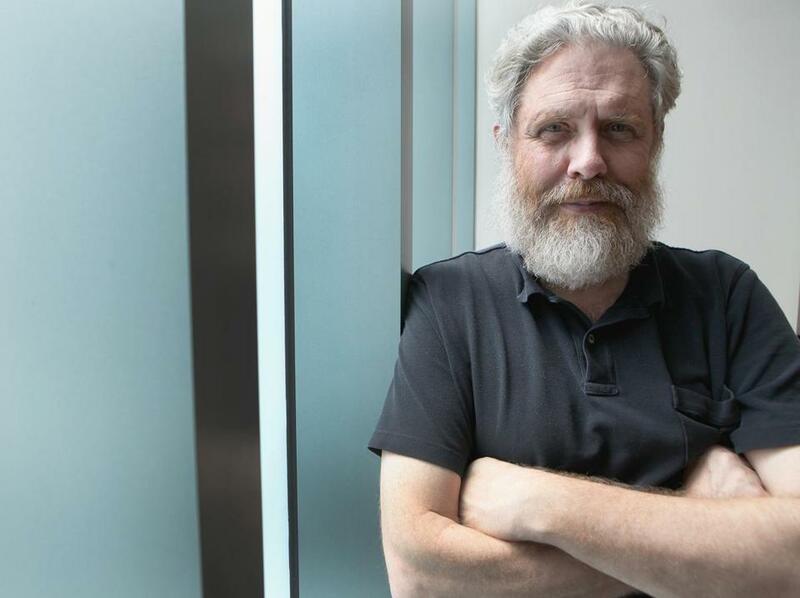 Harvard Medical School genetics professor George Church, who oversaw one of the studies published Wednesday in the journal Nature, compared the new technique to putting a GMO “on a leash.” If scientists stop supplying a particular unnatural amino acid synthesized in the laboratory, the bacteria die. The ability to tweak organisms’ DNA to give them new capabilities has long been tantalizing to biologists who already are turning microbes into factories that generate drugs and biofuels. But the wider use of engineered organisms -- for example, creating bacteria that can clean up a hazardous waste spill -- requires an effective leash to make sure they don’t escape scientists’ control. The worries about escape are rooted in the uncertainty about what could happen. GMO bacteria might outcompete native strains, with unintended ripple effects on the environment. They also could unexpectedly transfer the genes that confer those powerful new traits to other organisms. In extensive laboratory experiments, both groups saw no evidence the bacteria could find ways to escape the control measure. The two teams grew about 1 trillion cells and found that without the amino acid, the cells could not live. The technique works now in E. coli and although it could theoretically be applied to more sophisticated organisms such as plants, that application is far off today because of technical challenges, Isaacs and Church said. Outside researchers and watchdog groups concerned about safeguards for genetically modified organisms said the research was an important first step. Karmella Haynes, an assistant professor in the School of Biological and Health Systems Engineering at Arizona State University, said that what impressed her was that it was the very low rate of “escapers” compared with other techniques that have been tried. Jaydee Hanson, policy director of the International Center for Technology Assessment, said that the research was limited because these first tests were done in traditional laboratory environments. It will be important, Hanson said, to test this technology in controlled environments that mimic the wild situations where they might ultimately be deployed. Both teams built on a feat they reported in October 2013, when they successfully recoded the genome by making fundamental and widespread changes to the DNA of bacteria. That left the organisms’ functions intact but made them more resistant to viruses. In the new research, they started with such a recoded organism and decided to give it an Achilles’ heel -- making it dependent on a synthetic amino acid not found in nature that would have to be provided by researchers. Todd Kuiken, a senior associate at the Woodrow Wilson International Centre for Scholars, said that it was significant that two research groups working separately arrived at almost exactly the same result.